If you read my last post about healthy breakfast ideas, you know I am a huge fan of breakfast foods. Unfortunately, I work during the weeks and don’t have a ton of time to make glamorous morning meals. I love my bowl of oatmeal, but when I have extra time I try to spice things up a bit. A couple of weekends ago I had the pleasure of cooking brunch with one of my favorite blogging friends, Katie, from Good Life Eats. We met last summer and hung out at Blogher Food-I just love Katie! When she emailed and said she was coming to Utah for a visit, I was super excited. This time we made sure we had time to cook together. 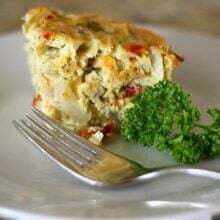 I am sharing the frittata with artichokes, sun dried tomatoes, and feta cheese recipe today. I am usually not an egg person, but this dish is stellar. 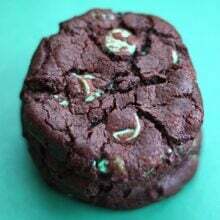 I loved the Medterranean flavors. I am a huge artichoke fan, so I used a very generous amount:) This dish is great for feeding a crowd too, everyone loved it. 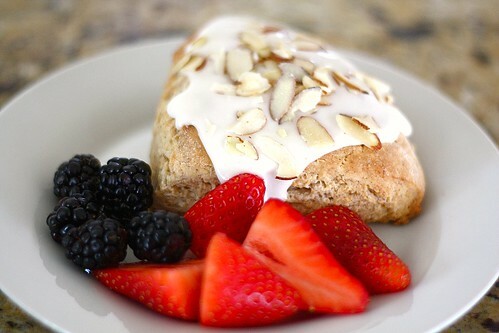 Head on over to Katie’s blog for the pear almond scone recipe-they are amazing-you don’t want to miss this recipe! 1. In a large bowl, whisk the 18 eggs together. 2. In a medium pan, saute the onion in the olive oil until tender. Add the garlic. Cook for 2-3 minutes. 3. Add the onions and garlic to the eggs. Stir in the sun dried tomatoes and artichokes. Add the parsley and salt and pepper. Stir in the feta cheese. 4. Pour the egg mixture into a 9 by 13 glass Pyrex dish that has been coated with cooking spray. If you want, you can add extra cheese to the top of the egg mixture once it is in the pan. 5. Bake in the oven at 350 degrees for 40-45 minutes. 6. Let the egg casserole cool in the pan for about 10 minutes before cutting. Cut into squares and serve. YUM! What a great brunch. I love the addition of the artichokes to the eggs- Josh and I are both HUGE fan of artichokes. Hope you have a good week girl! 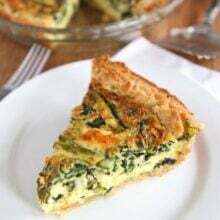 Frittata is on my list of things I want to try, and sun-dried tomatoes and artichokes are two of my favorite foods! Your brunch looks so beautiful! Love the colorful pictures! That frittata sounds so great. It involves all my favorites! This one would be great to try when we have visitors. Your guys’ food looks so good! I have never made a frittata. That frittata looks awesome, and the scones look like they would go great with it! All looks wonderful- I’m terribly jealous. I love getting together w/ blogger friends & you two would be a blast to make breakfast with! The food looks great, and I really like your white/black fruit stand. I bet this fritat would also be great the following day as leftovers. GORGEOUS pics…and the food… it is divine! I want to come to your house for breakfast! It sounds delicious except I do not eat eggs. Other than that… wonderful 🙂 The morning was so fun, I am sure! You are good company! What a lovely frittata – I love every single ingredient used. The pear scone looks amazing too. love that frittata!!! So jealous that I couldn’t be there for brunch 🙂 Glad you had such a great time! Mmm. That looks delicious. I love making breakfast foods for dinner. Maybe we will have this tonight. How gorgeous is that…say we swap citrusy tartlet for frittata? YUM!! What a great time and the food looks delicious! I’m so jealous of all the bloggers you have met. I would love to cook with some blogging gals! 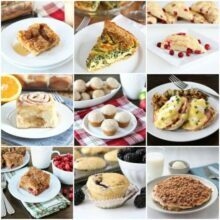 mmm, breakfast is my favorite meal, and this frittata (and those scones) sound absolutely scrumptious! Yum, I love frittatas, and I love mediteranean flavors as well! I am totally ok with going heavy on the artichokes! I love fritattas! So easy and you can make them a million different ways. Love the combo. Yum! I don’t think I could eat this for breakfast but I would DEFINITELY eat it for dinner! I love egg dishes for dinner, and I bet this was a perfect brunch. The Mediterranean flavors sound fabulous. What a gorgeous brunch! I love frittatas and this sounds wonderful. Sounds like a blast and that frittata sounds amazing! love the combo of flavors. I am sitting on this bumpy bus ride into the city and would love a slice of this frittata instead of the greasy chips they served. Thing I have a new business venture for you! 😉 Looks fan-flippin’-tabulous! Sounds great ! I am a little daunted by the 18 eggs, though! I’d obviously have to scale it down unless I want to eat this for a week. This recipe fills a 9 by 13 pan. So it serves a lot of people! Just depends on how big you cut the squares. I would say 24. You can half it and do it in an 8 by 8 pan. What a great brunch! I love the little cake stand. What a wonderfful thing to have shared that time together. And the breakfast, wow!!!! That bowl of fruit looks amazing and I love the frittata. Sounds great — have you ever substituted roasted red peppers for the sun-dried tomatoes? I have been enjoying sundried tomatoes more often since it is winter and the fresh ones aren’t so fresh. I really like the texture but have never thought to put them in eggs. Will try that. I do like them in salads and dips. So I have learned something new!! You had me at sundried tomato! And I’m a sucker for anything with feta. We’re big frittata fans over here. a breakfast for kings, that’s for sure. fantastic dish! I love frittata’s and your ingredients sound like a wonderful blend. Do you think it would serve 15 adults? PS We missed you on Saturday- hope all is well. Wow! These look amazing! I bookmarked this recipe and can’t wait to make it. 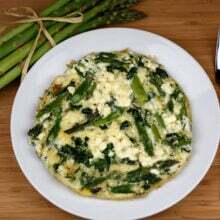 I love that you can make a frittata like this and have extra in the fridge for grab and go healthy meals. The sun dried tomato and artichoke are a great combo. You photo skills are awesome. Were you a photo/food styling student? Delicious-looking frittata. The combination of artichokes, sun-dried tomatoes & feta is a fabulous one! Your photos are beautiful. All around wonderful. I’ve never seen a higher frittata. And the pear scones make me want to bake right now. That plate for the fruit is gorgeous too. Isn’t nice to get together with another blogger? I am in the same boat and my breakfasts are usually me sprinting out of the house in the morning in zombie mode with my only concern being did I grab coffee. I really need to get better at not being that way and on the list of things to do this quarter. Beautiful idea and lately it seems all my sun dried tomatoes and artichokes are getting tossed with chicken thighs. Must change that…..
That looks so good. I want some right now! Blogger meet-ups are the best! Should I ever go to Utah, I will let you know. This food looks too delicious to pass up on! Frittata isn’t just a great breakfast. It’s a perfect lazy night dinner. The possibilities are endless. I love blogger meetups! You’re lucky to have had this experience. Now to go check out that scone recipe! I am not a breakfast eater (shame on me! ), but I do eat a healthy lunch and dinner (as you know). I make frittatas for dinner! Leek and artichoke is our favorite. I will try this combo with the feta cheese. I like it! How fun to meet up with a fellow blogger! Your Frittata sounds excellent! And so do those scones. This frittata sounds so tasty! Haha, I just had a blogger meet-up this weekend, too. I love them, and I can’t wait to have more. I love the looks of that frittata…I DO have a slight obsession for eggs! I would have a poached egg on top to make that yolk a “sauce” for the frittata…haha, I really am egg-sessed! What a simply gorgeous dish! Such beautiful colors and your photo is fabulous! This looks delicious, I always mean to make frittata or tortilla but never get around to it. They’d make good lunchbox material for my son. I like that this frittata does not have bread or a crust! 18 eggs is a lot – how many servings? I’m guessing about 8. I LOVE your beautiful black and white dish! 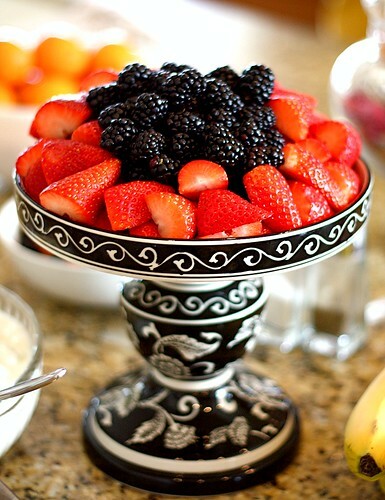 The berries look extra delicious in it. I would love to visit you in Utah, hopefully sometime soon. Great ingredients in here- delicious! This looks so perfect for a crowd and I love the feta in it – yum! I’m home all day, but still don’t usually take the time to make a big breakfast. But I do love eggs for dinner, and I’d be happy having this any night of the week! Frittata is my go-to for Sunday brunches with family or friends. I usually just throw in whatever I feel like at the moment and it always turns out good. The Frittata looks so good Maria! I bet you could make this ahead of time too and just pop it in the oven at the last minute. This frittata is full of many of my favorite foods. It looks great! Kathy-so glad you enjoyed the frittata! Pingback: Artichoke and Sun Dried Tomato Frittata | Nutrition.Health.Life. I love Artichokes and Feta cheese what a great combination of healthy ingredients. I will definitely put this on list of healthy meals to make this week. I think this could be great for lunch too. I have changed my lifestyle and incorporated healthy habits and it feels great. This looks delicious and easy to make. I have been looking for a great way to add veggies to my diet and this is perfect. I made this today and it was a bit hit! I used half egg whites and daiya non dairy cheese because I have a dairy allergy. I also added red bell pepper which I sautéed with the onion. Such a great recipe! Thank you! !